Our C2 crane course will provide you with the skills and knowledge necessary to operate a slewing mobile crane with a capacity of up to 20 tonnes. This training will allow you to work in many sectors across the country including the construction industry, mining and offshore drilling…. 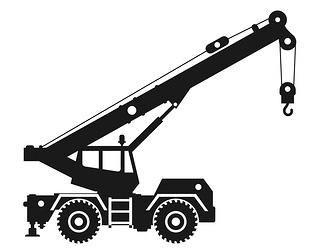 A slewing crane is equipped with a boom or jib that can be rotated horizontally, however, it does not include a front-end loader, backhoe, excavator or any other earth moving machinery when configured for the operation of a crane. A slewing crane with a capacity up to 20 tonnes can include a non-slewing mobile crane with a capacity of over 3 tonnes, a reach stacker and a vehicle loading crane with a 10 metres tonne capacity. Identify hazards such as overhead hazards, ground suitability, environmental conditions and traffic. Conduct routine operational checks of the crane. Comply with relevant legislation, standards and site procedures regarding the operations of a slewing mobile crane with a capacity of 20 tonnes. Communicate effectively in the workplace with co-workers and ensure appropriate communication techniques are adhered to such as two-way radios, hand signals and whistles. The successful applicant will have the necessary skills and practical experience to safely operate a slewing mobile crane with a capacity of 20 tonnes across many worksites within Australia. At Emerald, our highly skilled and qualified trainers will provide you with the confidence and support necessary to gain future employment in a variety of industries. This course is a great stepping stone to up skill your training into operations with heavier tonne loads such as our C6 training where you have the ability to operate a slewing mobile crane with a capacity of 60 tonnes. Combination of classroom based and practical skills training at our simulated environment training yard located in Brisbane.